The Not-for-Landfill campaign is a free, green, business network and resource that aims to support and share the good work that local businesses, charities, organisations and communities are doing to avoid landfill in the north east of Scotland. Campaign manager Stuart Youngson, spoke to XIC about our rationale for signing up and our ongoing commitment to the initiative. Who are you and why did you join the Not-for-Landfill campaign? 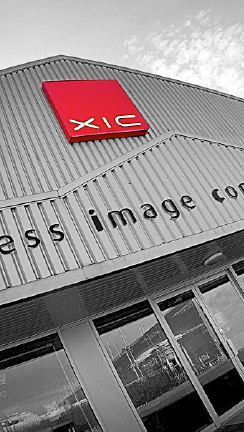 XIC is a creative print specialist with headquarters in Aberdeen and a sister company, Edinburgh Printing, based in Leith. We have been servicing the creative, print and digital needs of clients across all sectors for the past 30 years. We have always been conscious of our responsibility to the environment – particularly given our line of work. We gained ISO 14001 accreditation in March 2008 and held that standard for a few years before electively dropping it but continuing to run with the waste management processes set-up. This year, as a direct result of some production process improvements, we’ve found ourselves seeking to explore additional ways in which we could further improve our environmental practices. The Not-for-Landfill campaign – and its associated pledge – seemed like a positive and meaningful way to achieve this. 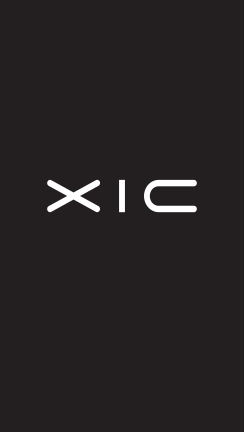 After attending the launch event at AECC in April, XIC took the pledge in July 2016. What kinds of thing have you been doing, if any, to reduce, reuse (repair/upcycle) and recycle your waste? Pre-2008 we had one large paper bin and two large general waste bins; we now have three large paper and card bins, one glass and plastics and only one general waste. All our toner printing cartridges and subsequent waste toner cartridges are fully recycled. Given our large printing volumes, this is very significant. Our waste chemicals from traditional production methods are collected each month from a specialist waste disposal company. Our large printing chemical containers are taken away from the supplier once empty; these are also recycled. Our aluminium printing plates are taken away and recycled. The company recently made a significant investment in new digital equipment. Environmental credentials were foremost on our list of credentials during the supplier selection process. Our new supplier, RICOH UK, has an inspiring record on this front; it operates a zero-waste policy at all of its manufacturing plants and is investing in carbon reduction technologies to reduce the environmental impact of its operations rather than merely offsetting its carbon footprint. RICOH also operates a dedicated ‘Green Centre’, where old machines are recommissioned and recycled in line with WEEE Directive guidelines and has been named one of the ‘Global 100 Most Sustainable Corporations in the World’ by the World Economic Forum in Davos. Since switching over to RICOH for our digital capabilities, all of our waste toner is collected from us and recycled – a system that has greatly improved our own environmental performance. Have you faced any specific challenges handling your waste? In the past, disposing of certain chemicals involved in the print production process could be challenging and expensive. As the traditional methodologies and equipment are gradually phased out, so are many of these concerns. Plate making, for example, now uses thermal technology, eradicating the use of chemicals completely which were historically expensive to correctly dispose of. An additional challenge, which is undoubtedly common across all organisations, is keeping environmental awareness at the forefront of the minds of our very busy team. This, in part, explains XIC’s motivation for taking the Not-for-Landfill pledge – being part of a wider network will help to create fresh awareness among our staff. Do you have any plans for the future regarding your waste management? XIC hopes to reduce the levels in our general waste skip still further. We also intend to further separate our recycling – with additional dedicated facilities for plastic, aluminium and so forth. We are looking forward to sharing best practice with others who have taken the Not-for-Landfill pledge and we will also continue to take advice from our key suppliers, such as RICOH, who have set us an environmental standard to aspire to.